You may want to reconsider your restaurant habits, or at least start eating more Nutella. You know when you’re staring at a jar of Nutella, dreaming of diving spoon-first into it until you reach the bottom? Yeah, me too. But then we all remember that eating entire spoonfuls of Nutella is not necessarily healthy and eating an entire jar is definitely not the way to get that bikini bod. But sometimes Nutella isn’t the worst option out there; some restaurant favorites are calorically so high that you may even be better off with that jar of hazelnut chocolatey goodness. Most times we don’t even bother to look up the nutrition facts when it comes to dinner – and can end up consuming more than a day’s worth of calories in one sitting. So it’s time to rethink ordering that mac and cheese – maybe even that salad – or at least not feel guilty when we’re caught spoon-deep in chocolate-and-hazelnut heaven. For comparison, 1 tablespoon of Nutella is equal to 100 calories. Yup, you heard that right. 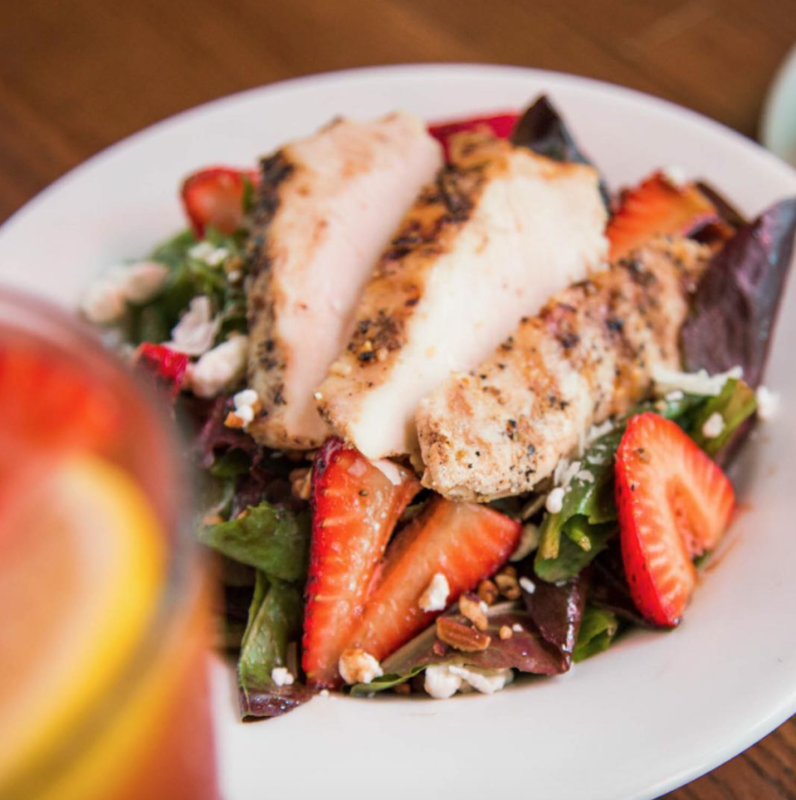 Don’t let the lettuce fool you – at 960 calories, this salad is equivalent to almost 10 tablespoons of Nutella. And last I checked, Nutella > Salad. 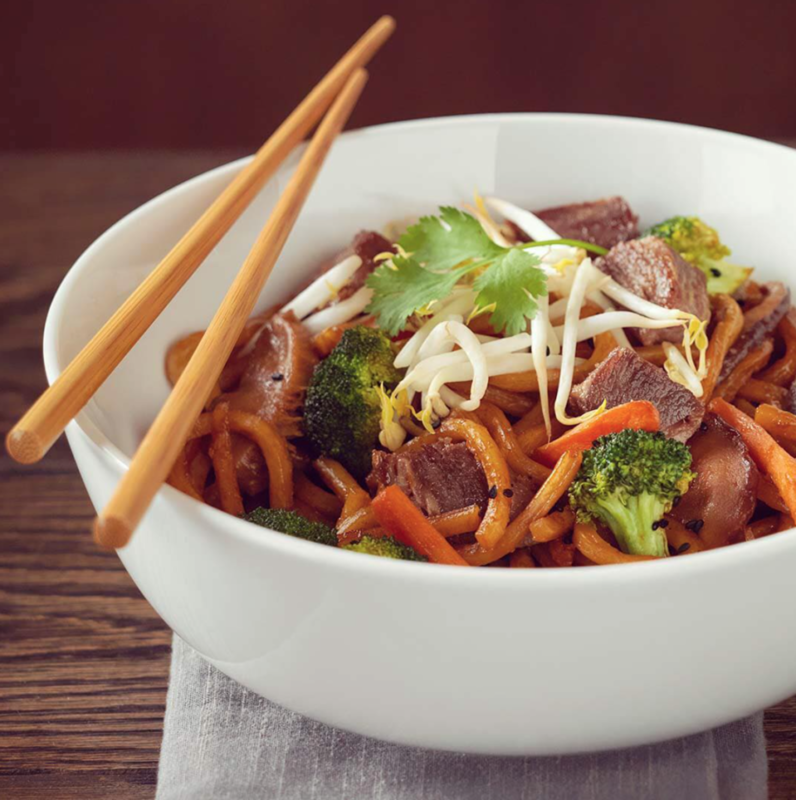 This pasta will cost you 1010 calories, or 10.1 whole spoonfuls of Nutella. That’s half the jar, people. 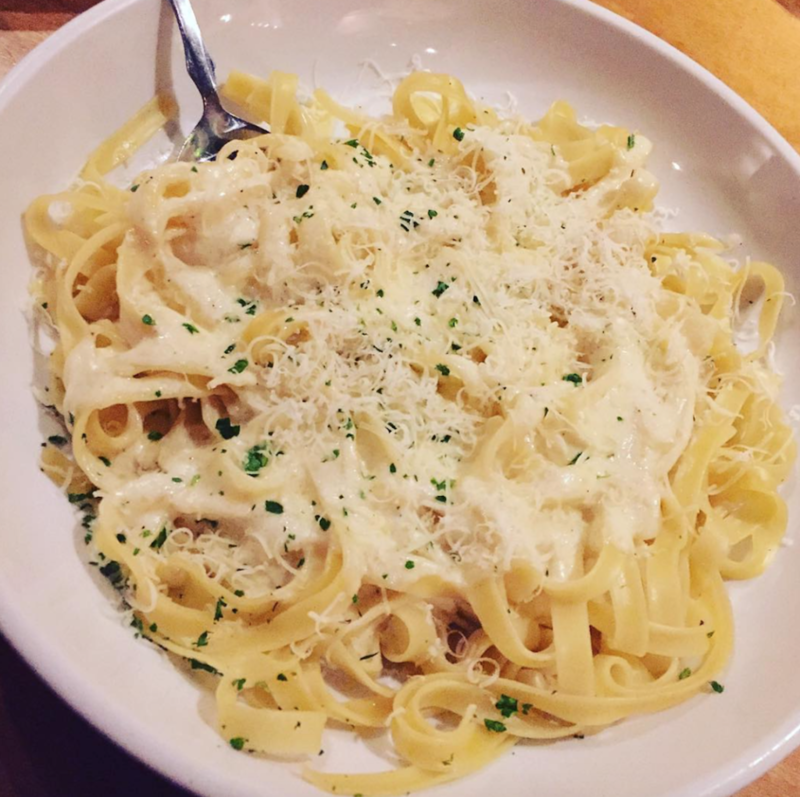 Or you could try making your own alfredo sauce. Chinese or chocolate-hazelnut? 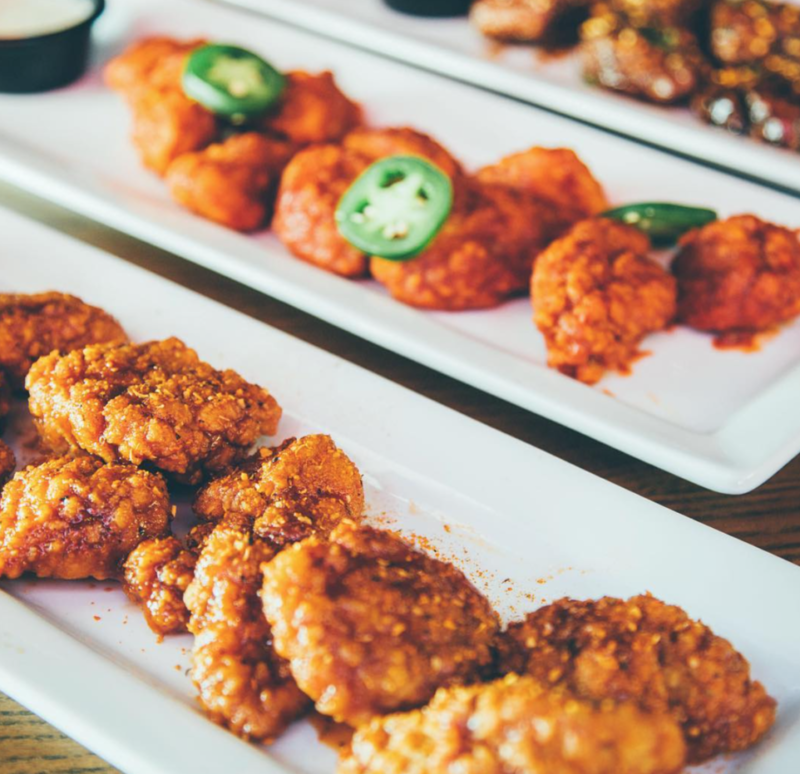 You decide how to spend those 830 calories. Yes, 11 whole spoonfuls of Nutella. That’s more than required for this Nutella-stuffed hot chocolate french toast. Subway is a pretty good fast-food joint if you’re trying to be healthy, but not everything is flat-stomach-friendly. One footlong meatball marinara is 960 calories. 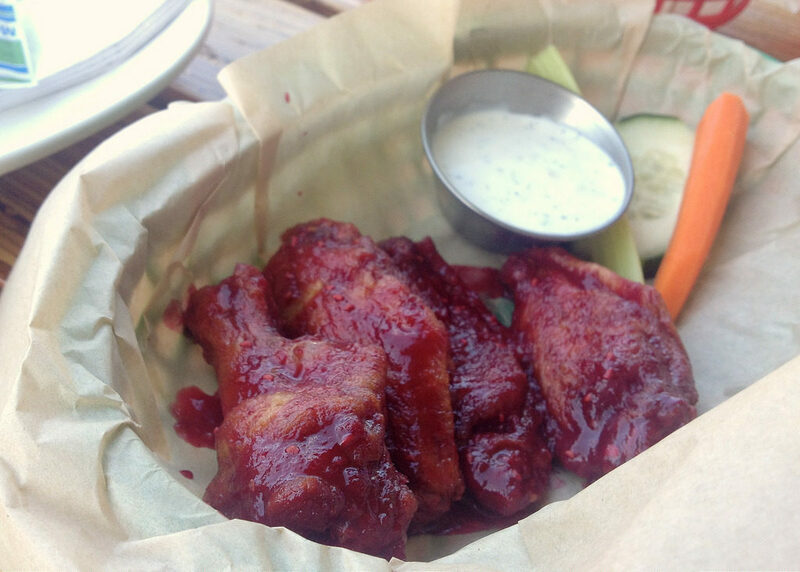 At 1590 calories, these wings are easily an entire day’s worth of calories in one fell swoop. 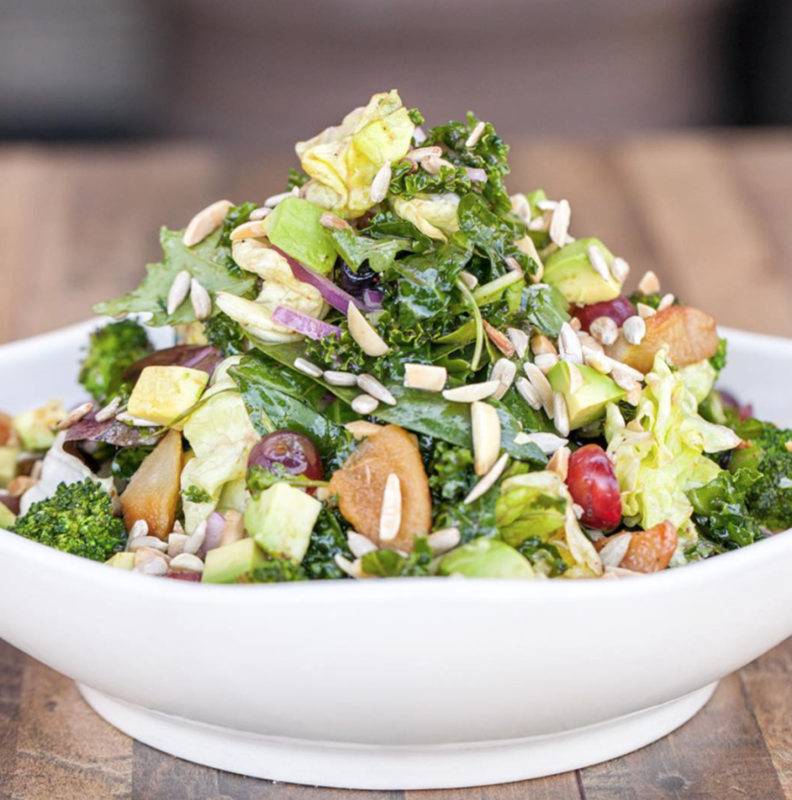 Just because it comes in a bowl does not make it salad. 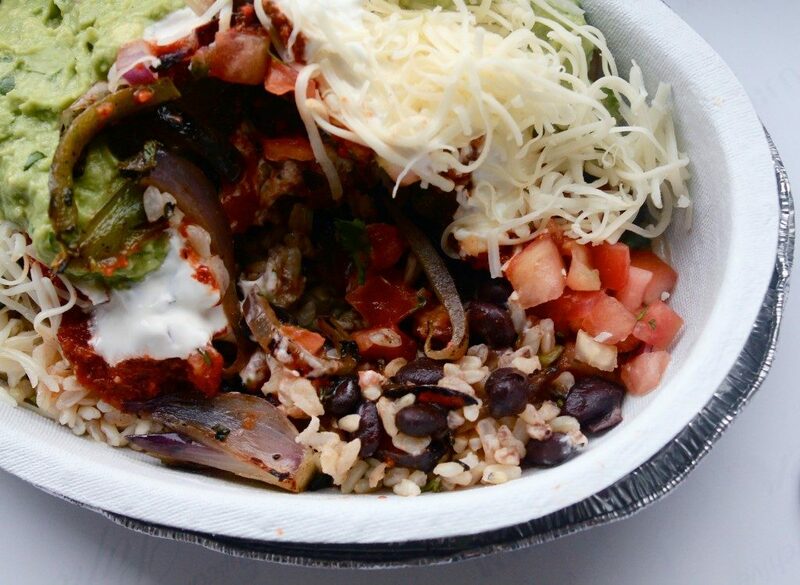 One of these bad boys can rank up to 880 calories, with all the favorite toppings of course: guac (obviously), cheese, lettuce, black beans, and chicken. 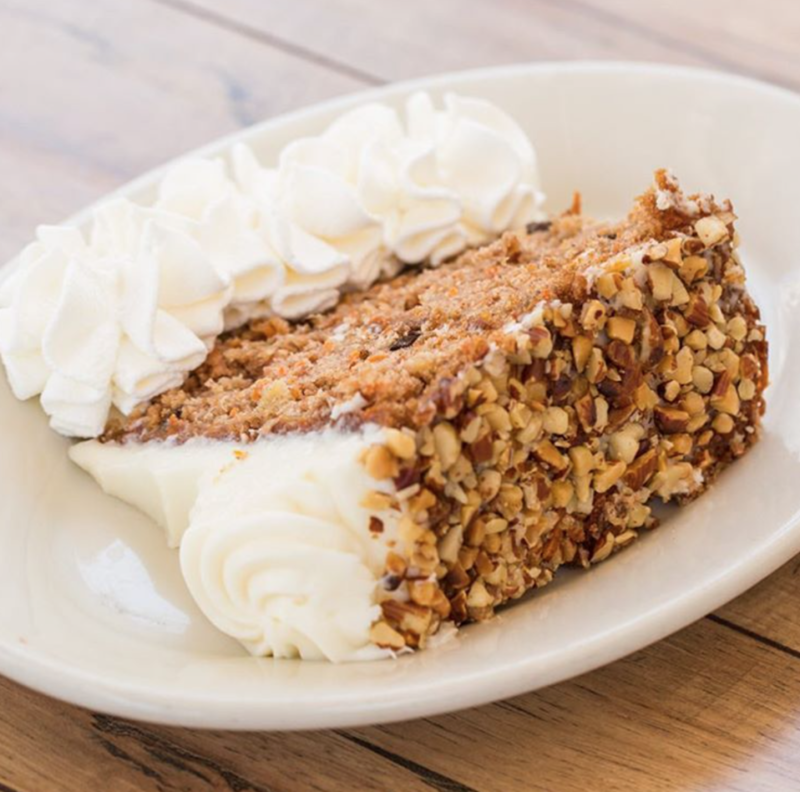 I used to think carrot cake was healthy because it had carrots in it. Boy was I wrong. At 1550 calories per slice, this one from The Cheesecake Factory could easily be swapped for 15 and a half spoonfuls of Nutella. This one broke my heart the most. 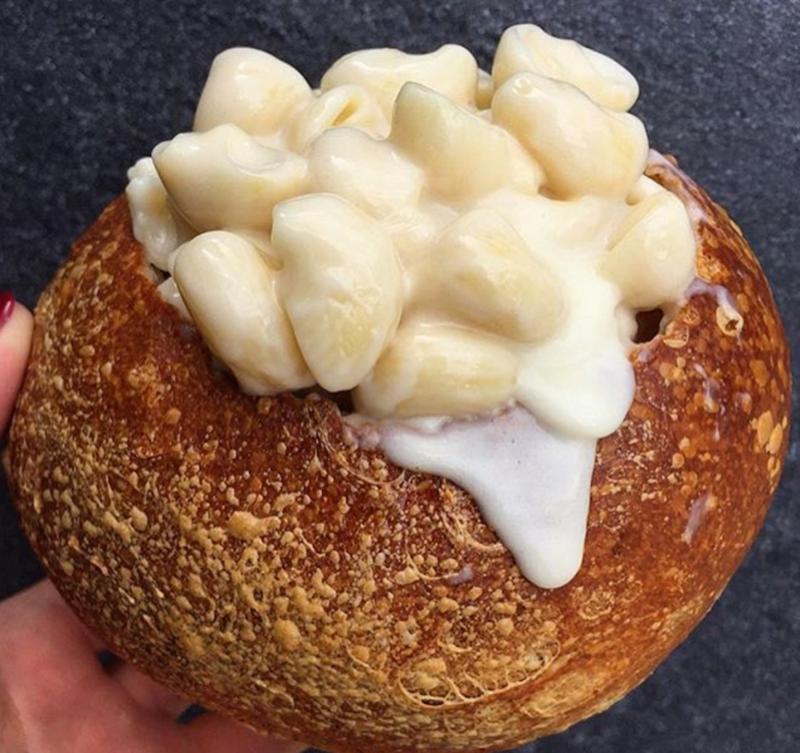 Panera’s mac is delicious, but so is almost half a jar of Nutella, which is what the 980 calories in the mac and cheese comes out to. Okay, okay, this one only counts if you eat the entire pizza, but hey, we’ve all been there once or twice. 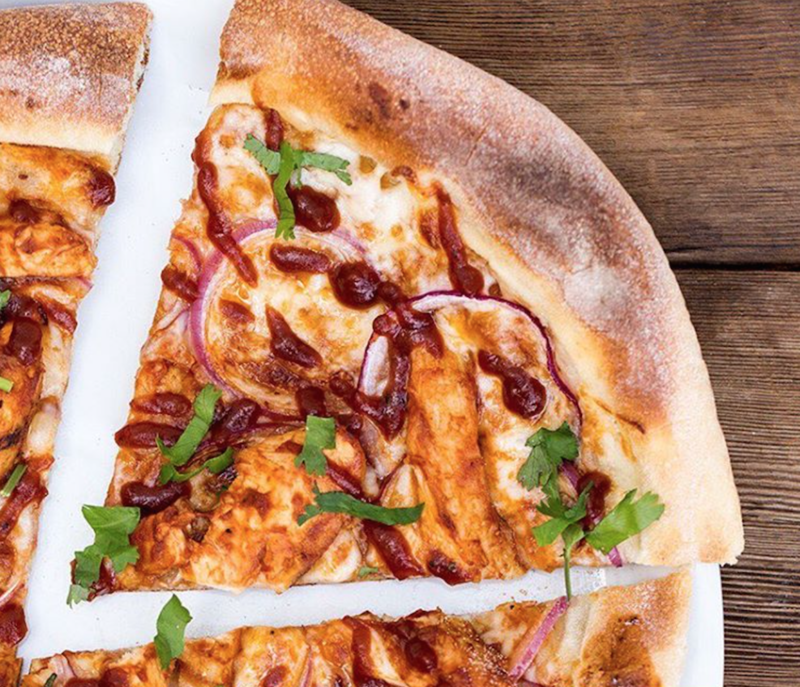 A whole pie of this BBQ pizza is 1070 calories, equivalent to more than ten spoonfuls of Nutella. Strawberries? Salmon? Salad? Never would I think those three words in a sentence would come out to 890 calories. And like I said before, Nutella > salad. 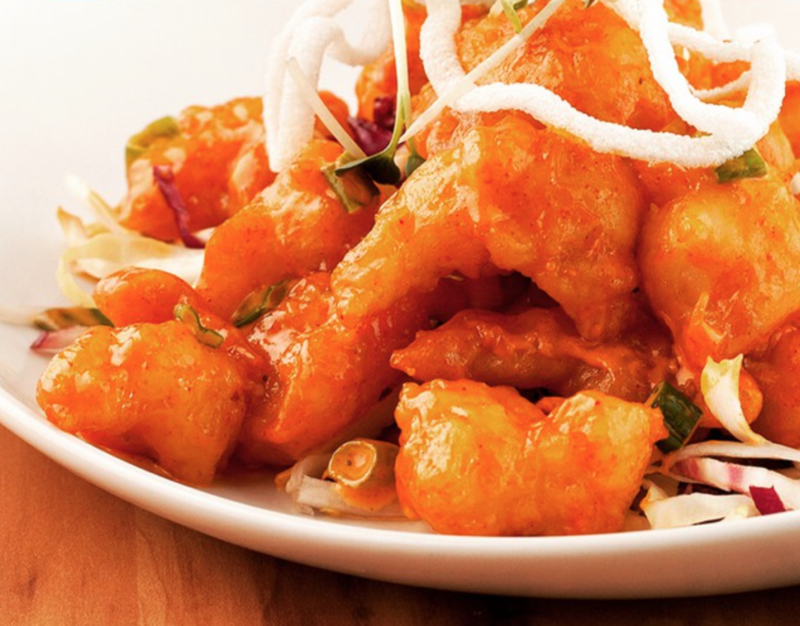 For 1090 calories, you could have this kung pow chicken or almost eleven spoonfuls of Nutella. Better yet, make this Asian-style baked chicken to save hundreds of calories (and have one spoonful of Nutella for dessert). 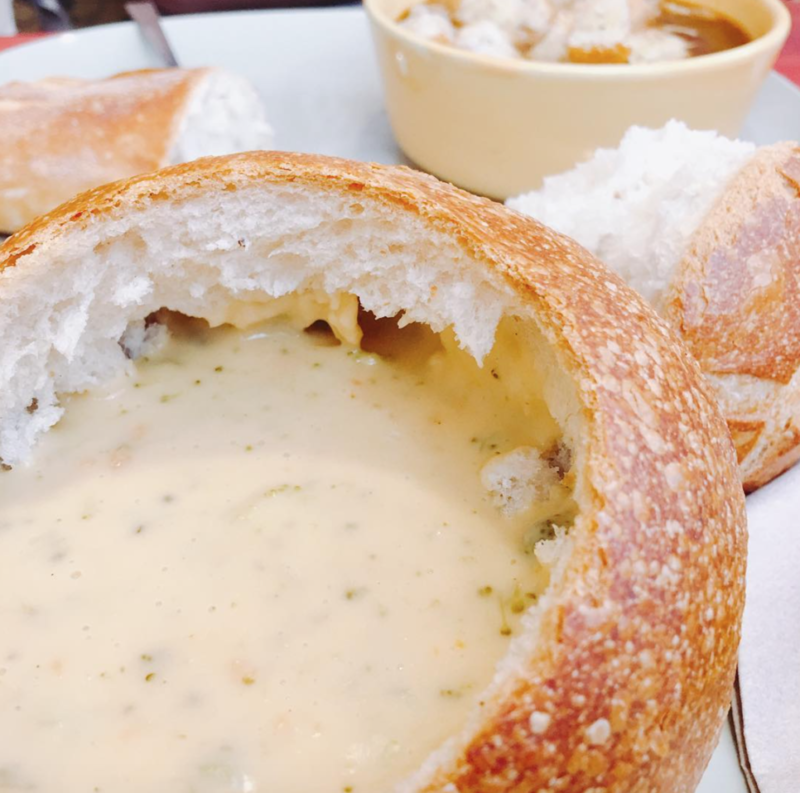 A bowl made of bread never ceases to amaze me, but it does cost a heaping spoonful. Or eight. 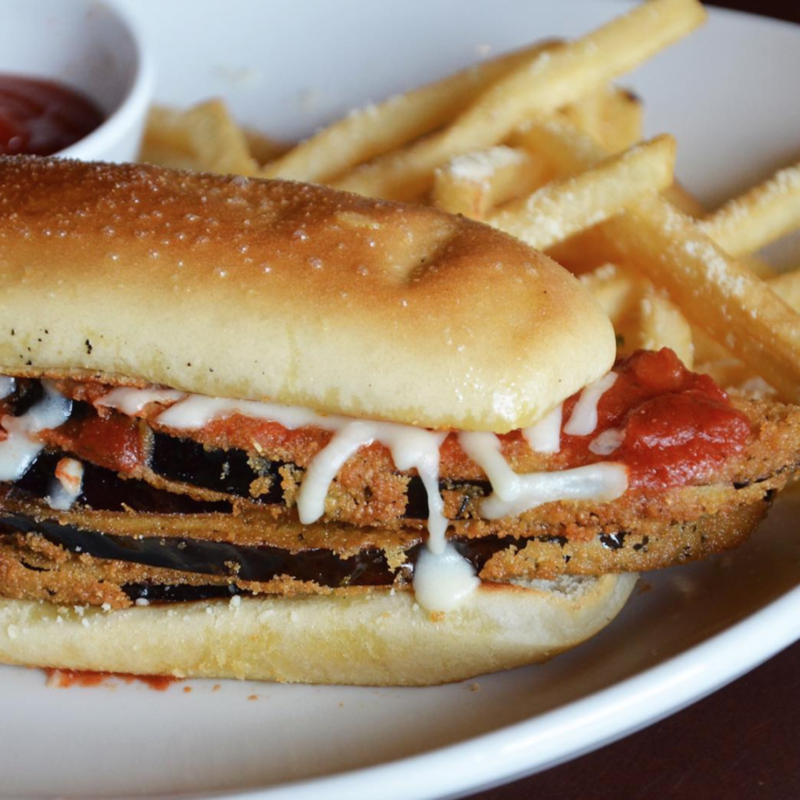 Yes, eggplant is a vegetable, and yes, eggplant is healthy, but 1060 calories is definitely not. 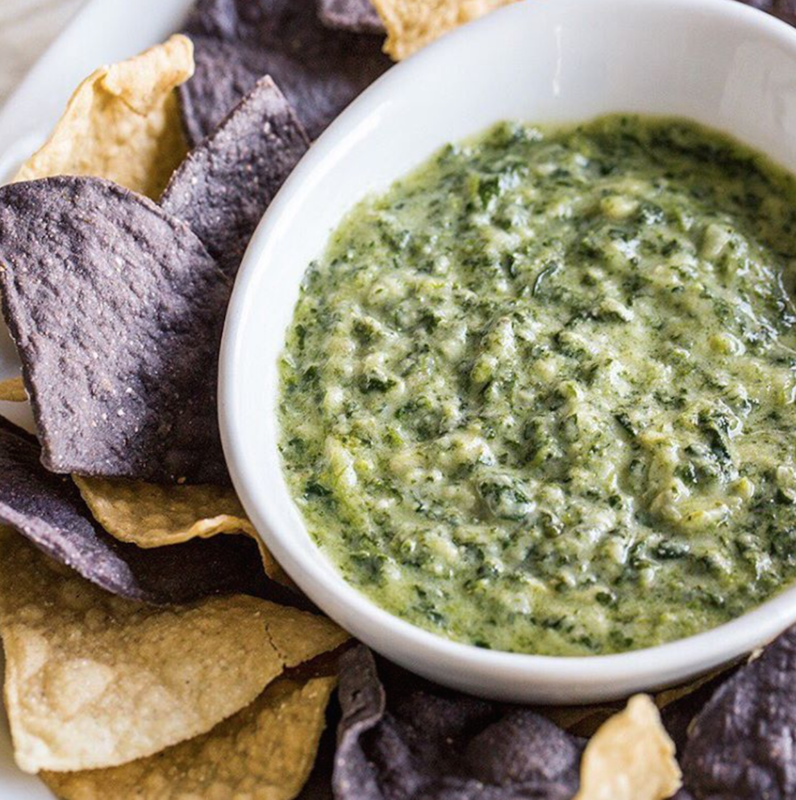 Spinach artichoke dip is a crowd-pleaser when choosing appetizers, but this pre-meal snack can trump the calories of your actual meal. Try this lower-calorie version instead. Yes, twelve. Thats 1200 calories in one burrito. 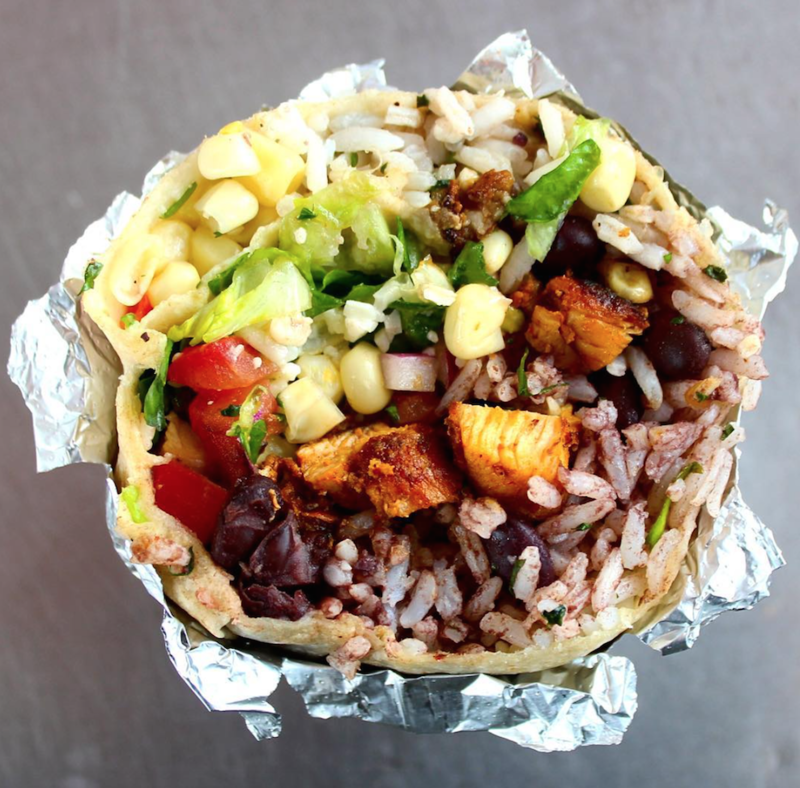 Save yourself and make this healthy chicken burrito wrap instead.